Hyundai has finally pulled the veil from their new electric SUV Kona today. The Koreans will offer the vehicle with two different battery sizes and various assistant systems. 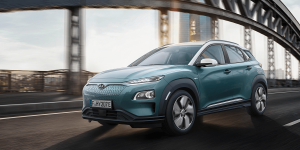 It had already been known that the new Kona Electric will have two different battery capacities at 39.2 or 64 kW, and will be powered by a 150 kW electric motor, supplied by LG. The AV charging was also previously announced at 7.2 kW, however further details were released today. The entry level variant will be powered by a 99kW electric motor, which delivers a torque of 395 Nm. That means the Kona will reach its maximum speed at 167 km/h. Range has been set at 312 km, according to WLTP standards. This is made possible by a 39.2 kWh Lithium-Polymer battery. The DC charging capacity (CCS) has not been made public, but they have announced that the battery could be charged to 80% capacity in 54 minutes. With AC charging of 7.2 kW, the charging process should take about 6 hours. The “long-range” variant will run with a new 150 kW LG motor, which will also deliver a torque of 395 Nm. Again the top speed is limited to 167 kph, as with the smaller version. The normal consumption is slightly higher though, and stands at 14.3 kWh. The range is also considerably higher, at 482 km, powered by the 64 kWh battery. 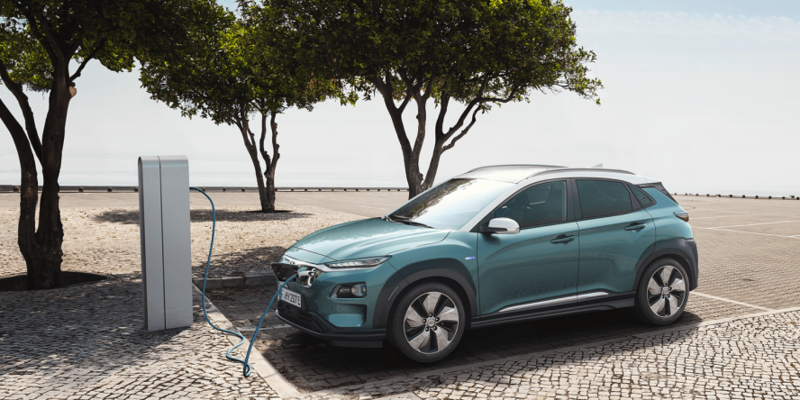 This vehicle was also announced to have the same charging time as the smaller version, at 54 minutes to 80% using a CCS DC charging module, which indicates the vehicles will have different charging curves. Using a 7.2 kW AC charging unit, the battery should be full after 9 hours and 40 minutes. The Kona is quite compact for an SUV, at 1,80 m width, 1,57 m height and 4,18 m in length. 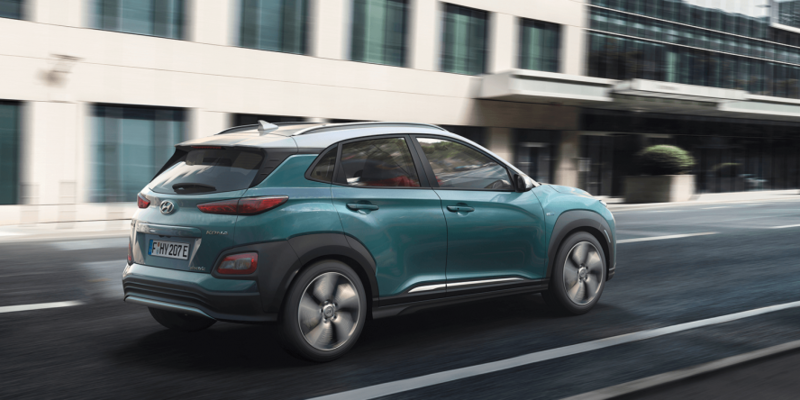 The wheelbase stands at 2.6 m. The design is quite similar to the regular Kona model, except for the closed front end and the wheel rim design. 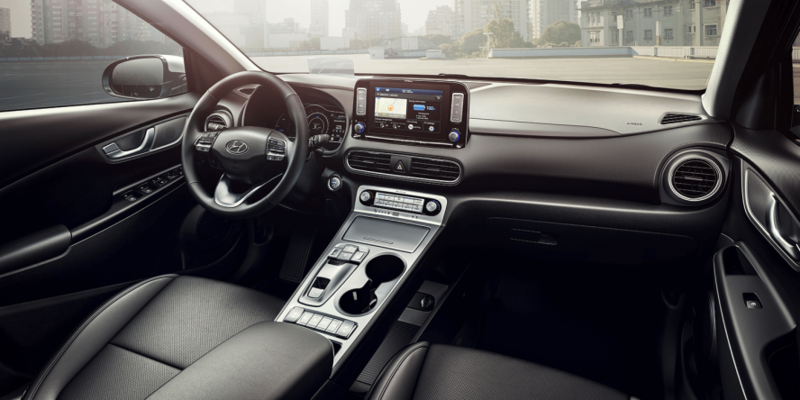 This indicates that Hyundai does not see much of a need to redesign their vehicle fleet for the electric market. The charging port is located under the hood in the front of the vehicle, making it a nose-charger. The modified bumper also improves the aerodynamics of the vehicle by rerouting some of the airflow around the front wheels. 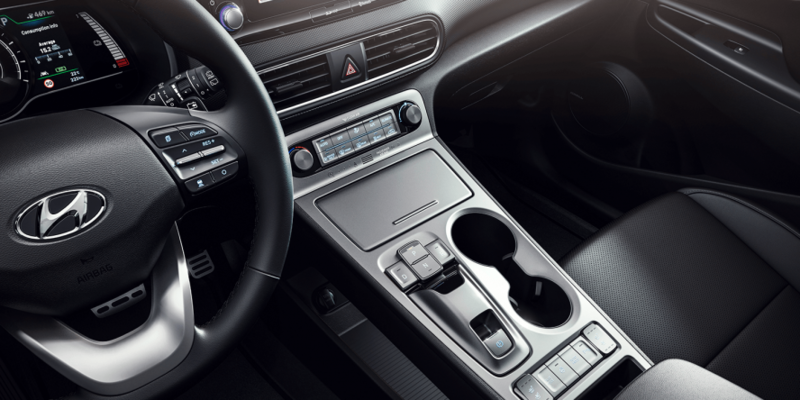 The single gear reduction gearbox will be operated via buttons and the 7-inch instrument panel will be the same as was used in the Hyundai Ioniq, however a head-up display will also be added. 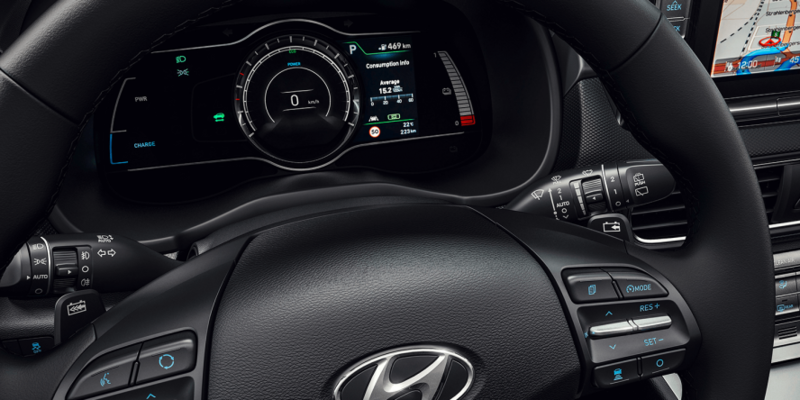 Using the shifting paddle under the steering wheel, the driver can select recuperation levels, and the infotainment system will be run on Android, however, Kona drivers will still have to drive without a telematics unit in future. 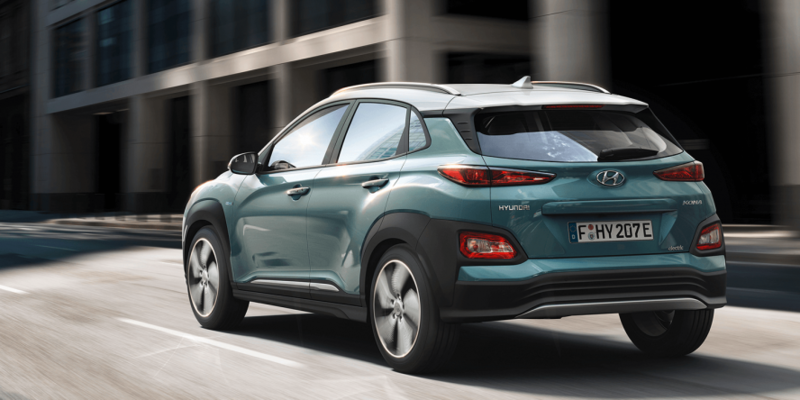 Furthermore, the Kona will have a series of assistance systems, such as an adaptive cruise control, emergency braking assistance, a lane-departure warning system and a blind-spot assist. 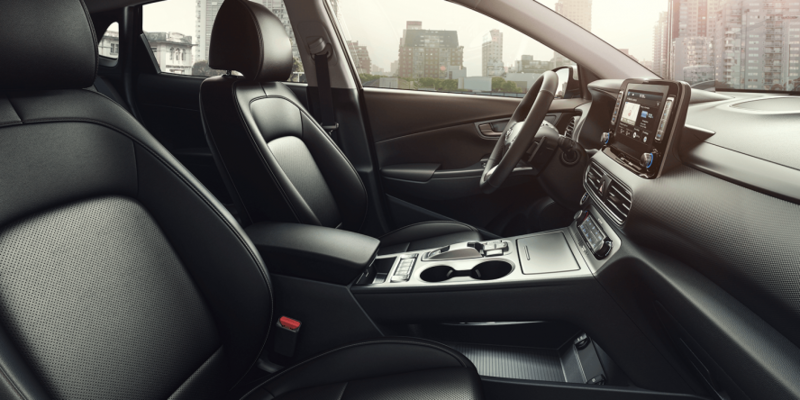 The attention assist system will monitor the driving times and pay attention to factors such as steering movements and lane usage. If it deems the driver to be tired, it will recommend a break. 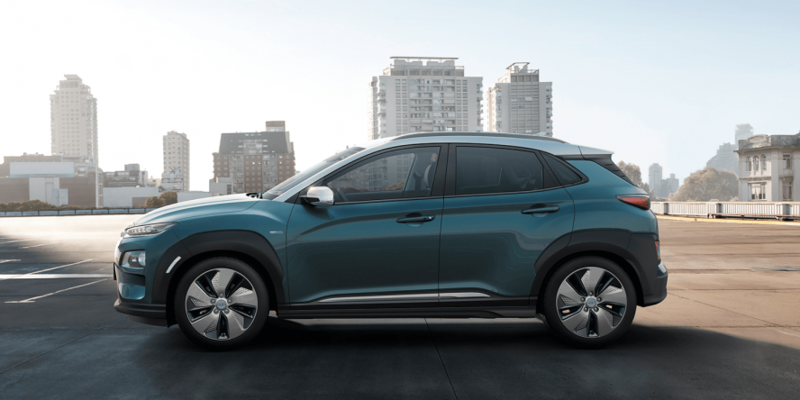 The Hyundai Kona Electric, as well as the Nexo, have not been homologated for the European market, which means the South Korean company has not announced an explicit market launch date or prices.